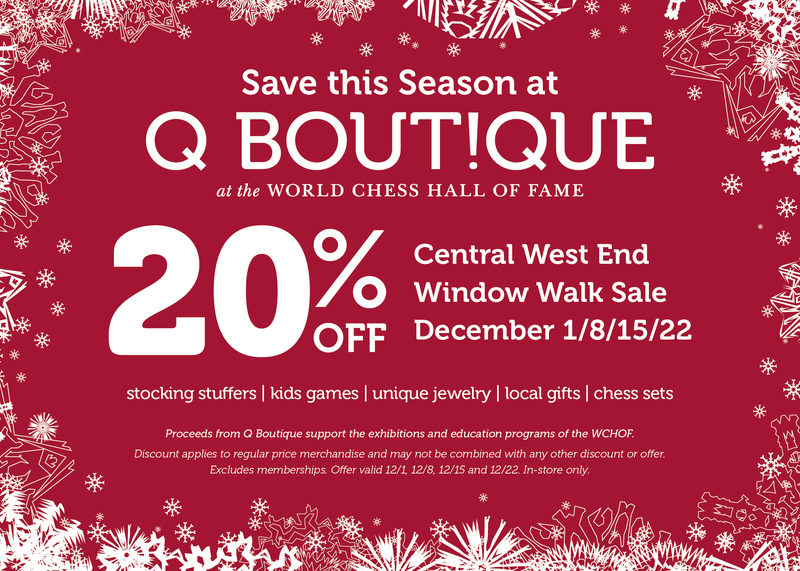 Save 20% in store during Q Boutique’s CWE Window Walk Sale. 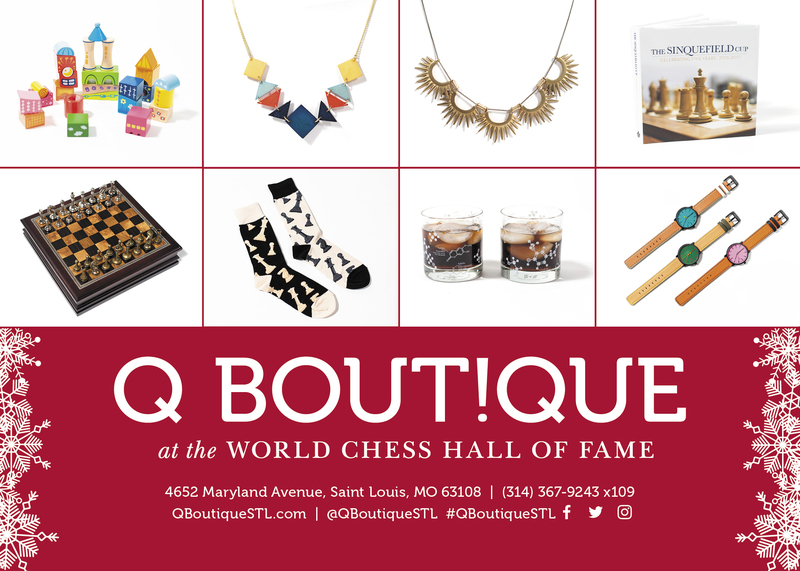 Q Boutique—the award-winning gift shop of the World Chess Hall of Fame (WCHOF)—has become a holiday shopping destination not to be missed. Although the online store focuses on chess apparel, autographed collectibles and tournament gear, the brick-and-mortar location is stocked with a curated selection of stocking stuffers, unique jewelry, clever kids’ games, custom accessories, quirky greeting cards, books for all ages and a variety of locally-made goods, juxtaposed with the region’s best selection of chess sets. Whether you’re searching presents for a hard-to-shop-for friend or a last-minute addition to your holiday list, this neighborhood boutique makes it easy to be a gift-giving guru. Purchases at Q Boutique are tax-free, benefiting the exhibitions and programs of the WCHOF. Discount applies to regular price merchandise and may not be combined with any other discount or offer. Excludes memberships. In store only.